Belko Experiment Official Movie Soundtrack now available for pre-order! Because you need some good background music for a slaughter. Looking for some killer tunes? (get it?) The Belko Experiment is in theaters everywhere tomorrow and now the official movie soundtrack is available for pre-order on iTunes! 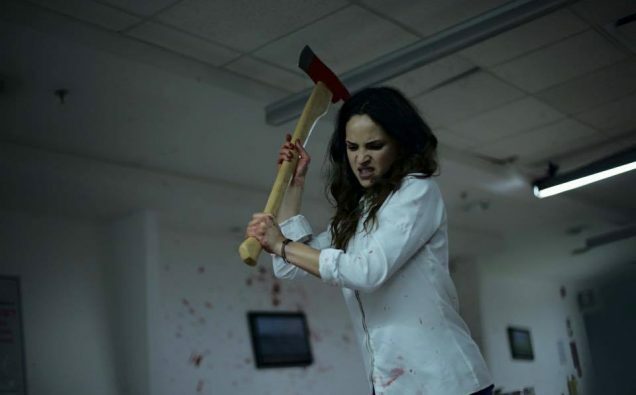 The Belko Experiment is Battle Royale in an office; 80 office workers locked inside and told that they must kill 30 of their own or their captors will kill 60 of them. Written by James Gunn (Guardians of the Galaxy) and directed by Greg McLean (Wolf Creek), the film is looking amazing! The soundtrack is being released Lakeshore Records and you can pre-order it now on iTunes! And be sure to check out The Belko Experiment when it opens in theaters on March 17th!